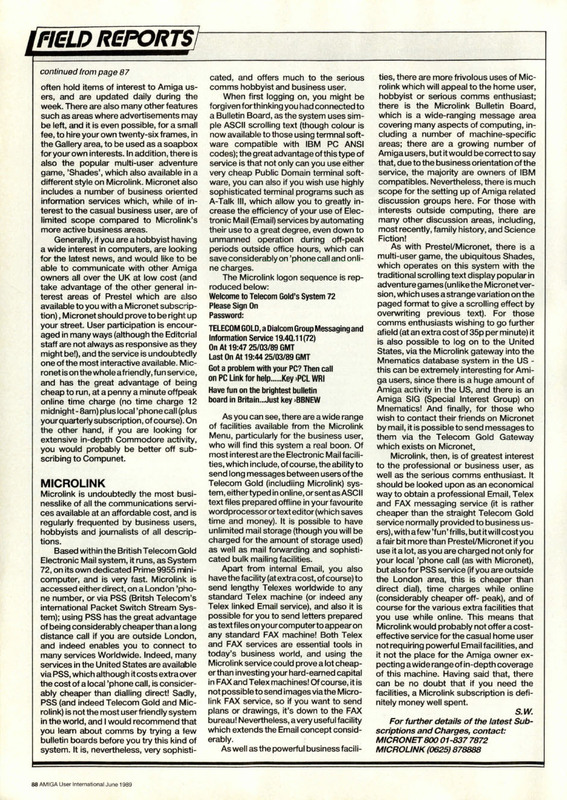 By June 1989, the competition between pre-internet online services was hotting up. There was money to be made, and people looking to take their computers online in ever-increasing numbers. 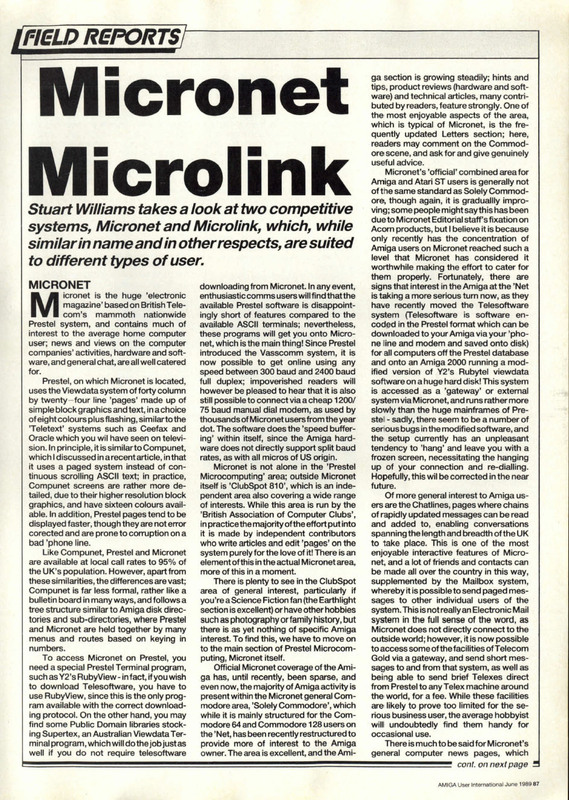 Two very different services had gained prominence in the market, Micronet 800 (a Viewdata magazine-style service and Microlink, a text-based aimed more at business type users. This feature compared them head-on.